Young people can’t handle interrupts! According to research commissioned by the Institute for Innovation & Information Productivity undertaken by Oxford university young people actually don’t handle interrupts very well. In fact older people cope better because of the benefits of a mature brain with many more synaptic connections. The researchers quantified the impact of interruptions as equivalent to the effect of concussion caused by the impact of a football on the head, or the more headline grabbing “kick in the head”. 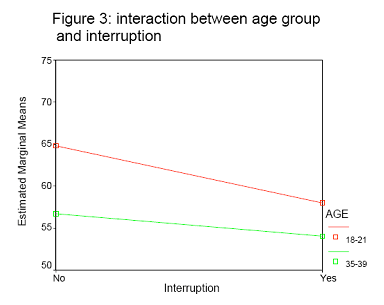 This is important research because it highlights the fact that young peoples familiarity with IT and with interruptions could well be masking a significant cognitive impact and that maybe these youngsters entering the workforce could benefit from some mentoring from us oldies on how to manage their time better.